This is one of those gems, a rare item on vinyl that is indeed a lost classic. All the elements of progressive rock greatness are here in abundance: superb musicianship, brilliant compositions, plenty of style, tempo and mood changes throughout the fabric of each of the original album's five long tracks. This is indeed a rarity in more ways than one. Few albums come close to this. 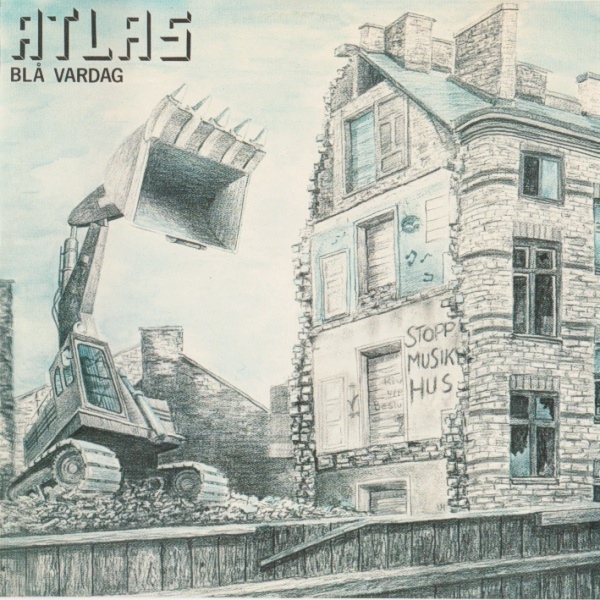 This Swedish quintet of guitars, bass, drums, and dual keyboards offers a solid and balanced instrumental progressive rock style with all the trimmings, a complex and cerebrally satisfying mix of colorful melodic elements that take shape within complex rhythmic structures in an ever-changing articulated mosaic – the kind of energetic music that challenges the imagination, while guiding it as well. I suppose this would fall loosely into the symphonic rock category, but like Secret Oyster, Happy the Man, Kenso, Finch, Iman Califato Independiente, and others, it is so much more than that. In fact this is an album that would be right at home in the company of any of the aforementioned. It delivers from beginning to end, no letting up – Atlas is one hard working crew. And if that isn't enough, APM have dug up three tracks of bonus material that are every bit as powerful as the original album – and in fact flow nicely with it. One is a track from a later incarnation of the band called Mosaik, another was recorded around the time of the album, and a third is an old song that was re-recorded at an in-studio reunion this year. All taken, this is one that I'm sure most would enjoy, and it's certainly one of the nicest surprises of the year so far.